Mario Balotelli managed to move to Nice during the summer, but his agent Mino Raiola had advised Nice against signing the 26-year-old. Nice President, Jean-Pierre Rivere, confirmed with French news outlet L’Equipe that the Italian’s agent tried to talk the club out of signing Mario. The French side managed to scrape a deal with the Italian on deadline day. However, things may have turned out differently according to Rivere. “Before an important meeting with Mario, who had been delayed due to a problem with his plane, Mino gave me all the reasons why I should not sign the player. “And when his player arrived, Mino said to him, ‘Everything bad I had to say about you to the president, I have said,’” Rivere explained. Raiola, who is known for his unorthodox approach to deals, has been working with Balotelli for the past 6 years, but the pair’s relationship may not fair so well should things not go well in France. 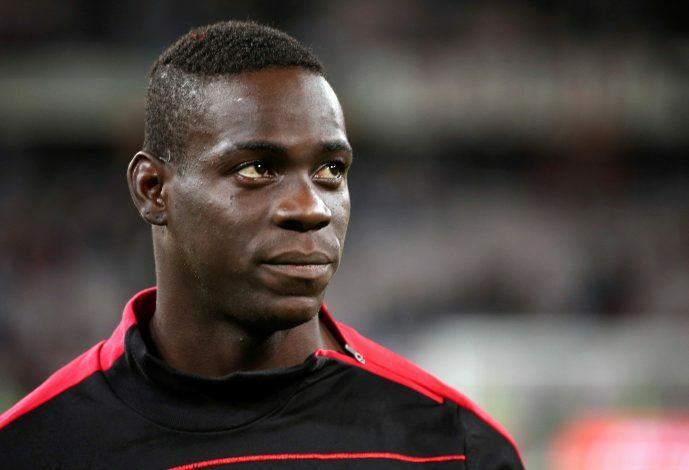 “He has placed Balotelli at Nice, but I’m not sure he has done so happily,” Rivere said. Balotelli has so far had a rather controversial career, starting out in the Italian league. He made his name under Jose Mourinho at Inter Milan before transferring to Manchester City. In 2013, he was sold to AC Milan, only to return to England a year later, this time with Liverpool. During his time at Liverpool, he failed to make any sort influence in attack, and was subsequently loaned back to AC Milan in 2015. Finally, the Italian has now joined French side Nice, where his form looks to be picking up slowly. So far this season, Balotelli has scored 5 goals in 4 appearances. Hopefully, he can maintain his form.